I ran the layout faultlessly for 3 months, while finishing small details, and gradually installing the catenary along two of the mainline tracks, and the interchange track (where trains can swap electrics to either steam or diesel, and enter or leave the non-electrified main line..
One day, I was running four trains no problem, when all of a sudden everything stopped, and the controller (a CS1 70212) switched to the red "stop" light, indicating a dead short. Usually, such a situtation is caused by derailment. So I removed each locomotive one by one, and checked for derailments on rolling stock, and still no clue.The realisation started to dawn on me that this short was bigger than Ben Hur (the movie). Where in all that wiring and track and signals, was I supposed to find an out-of-the blue electical short? Then I started listening for the sound of the short, a typical micro-second "bzzzz" every time I switched the controller to "On". 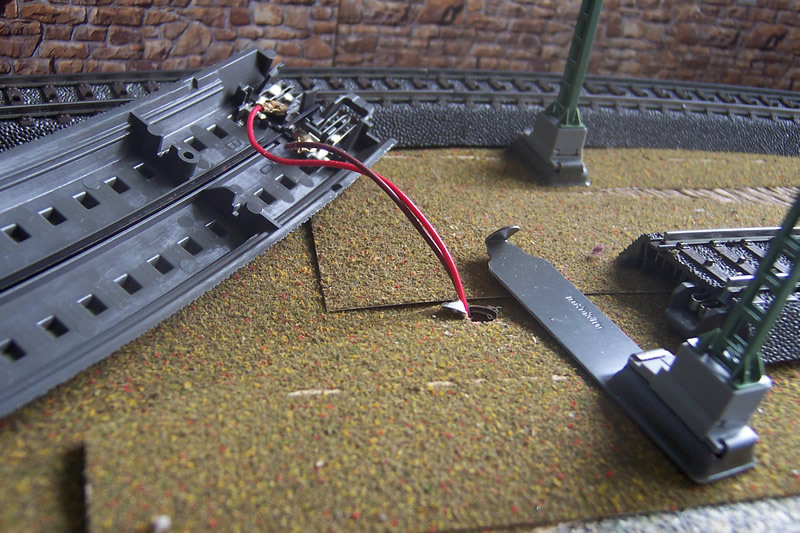 It seemed to come from a corner of the layout where I had catenary installed. So had a funny feeling that the mast base clips under the C track, if incorrectly positioned, were a likely source of trouble, being made of metal. 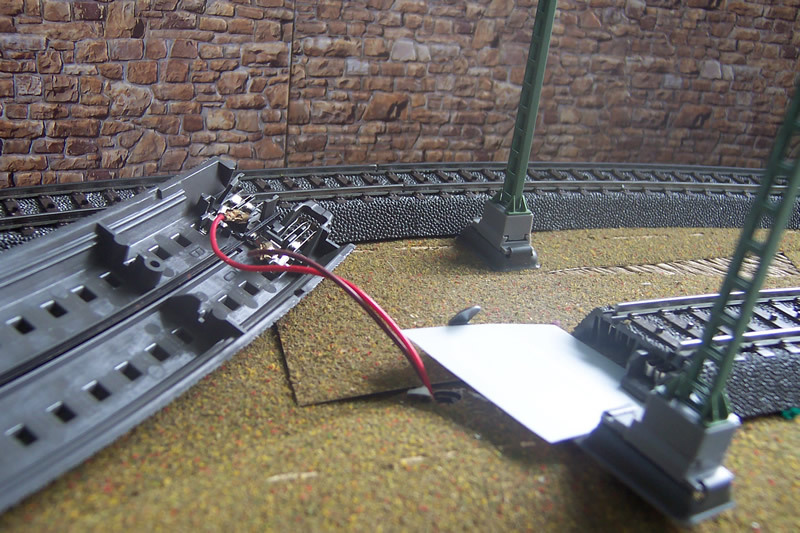 Sure enough, the tongue of one base was positioned directly under power wires for the layout, which are installed every few metres. So I slipped in, and glued, a thin sheet of plastic over the base, and re-installed the track. Operation is back to normal.